Always be learning and challenging yourself. Have fun doing it! That’s what the words say at the bottom of this photo. I’m just learning the Instagram Phonto for putting words over your posts. Looks like the words her are too long. Whoops! Live and learn . 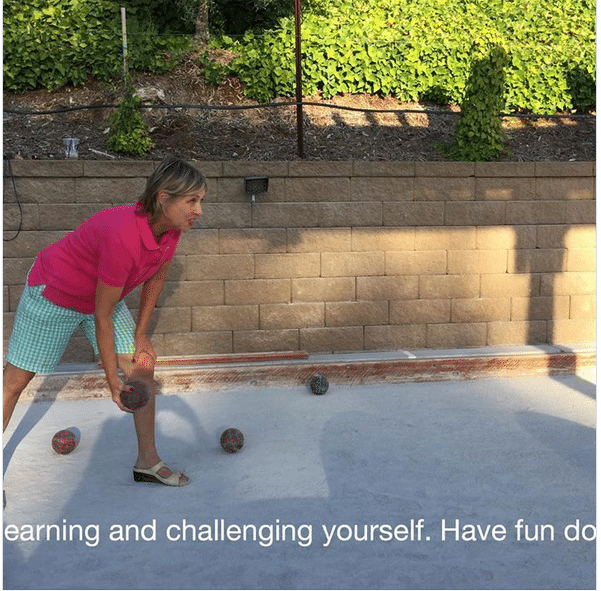 . .
We start our new bocce session tonight. We practiced last night for about an hour. I started playing bocce 5 years ago. It’s alot of fun to play, eat, drink and meet new people. Whatever your pleasure is, keep learning and challenging yourself!